Cut It Out – a road safety initiative by Fife Community Safety Partnership – is set to make an impact on young drivers and passengers. 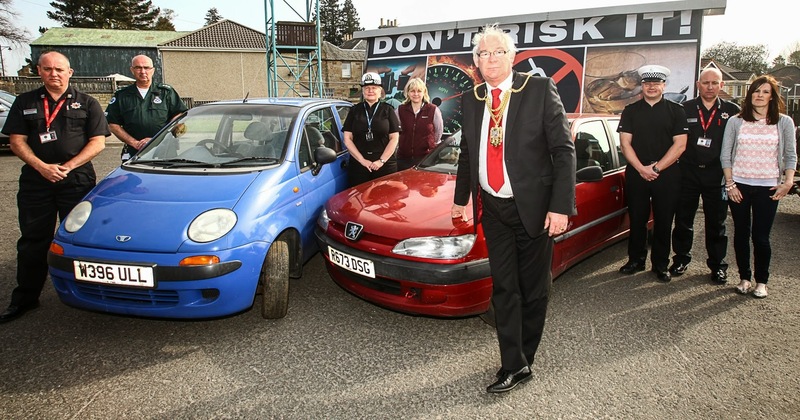 The event, to be held at Fluthers Car Park, Cupar on Friday 2nd May from 7-9pm, is open to all and will include a staged accident with real vehicles to show how all emergency services work together to save lives and encourage road safety. Members of the public will also be able to speak to professionals and take part in interactive stalls, including a driving simulator and a collision simulator to highlight the importance of wearing seat belts.